Amsterdam’s mayor, public prosecutor and police chief are to investigate why the city’s police force used riot squads and water cannons on supporters outside the Arena football stadium on Wednsday, ahead of the Champions League football match between Ajax and Juventus. Supporters groups have questioned the police show of force, describing it as an ‘over-reaction’. Trouble broke out close to the Arena stadium, when some fans lit torches, despite the ban on fireworks which police had earlier imposed. This led riot police to turn water cannons on supporters, including children and people in wheelchairs, local broadcaster AT5 said. In addition, police used horses to drive a wedge between the supporters, leaving Ajax fans describing their action as ‘over the top’. Their number includes city alderman Reinier van Dantzig, who was at the ground and who said the situation was ‘extremely chaotic’. In total, 185 people, mainly Juventus fans, were arrested in Amsterdam before and after the game. 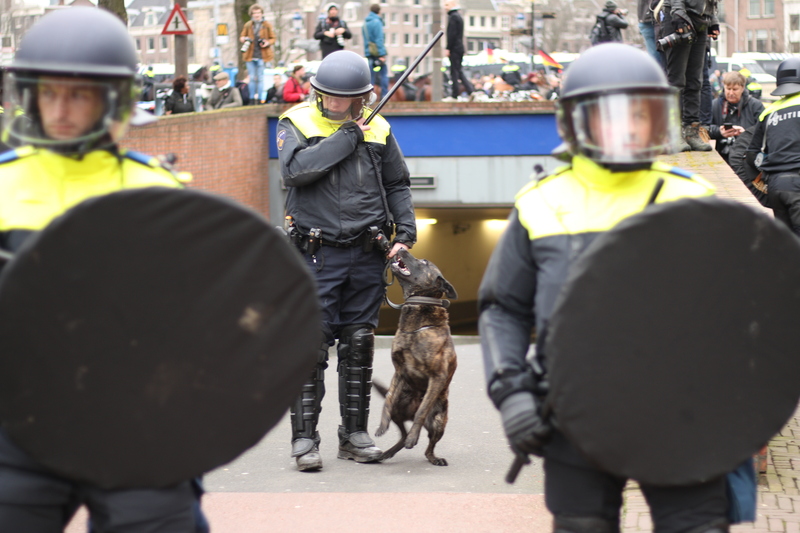 Mayor Femke Halsema, currently in New York, will report back on the police action at a full meeting of the council next week, AT5 said.